The Mad Men Challenge - The Plan | Jenny. Maker. challenge for March 19th is, of course, Mad Men themed. (Mena wrote a great post offering ideas on what fashions may be coming - warning: it contains spoilers.) Then, I discovered, courtesy of Steph at 3 Hours Past, that Julia was hosting a Mad Men challenge on her site, Julia Bobbin. Julia's badge went up on my site as soon as I heard about it - yep, I'm totally in! Lucky for me, vintage Simplicity 3536, is almost a perfect fit for this dress! The funny thing is, I had expected to use this pattern for the challenge all along... I just expected to use the slimmer view! Since this will be my first time working with a vintage pattern, I likely won't change very much. I'll measure the sleeves and consider shortening them to cap sleeves and I may still use a gusset from Gertie's tutorial (if time permits). I'm undecided if I want to lower the back of the dress to match the original. Honestly, the answer is probably 'yes" but, is that difficult to do? To keep the dress from looking too costume-y, I'll omit Trudy's bow. With the inspiration and the pattern picked out, all that was left was fabric. 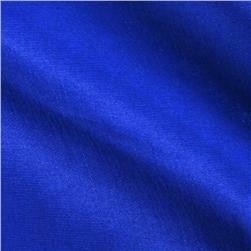 Ugh, aside from the blue sateen I used for my sheath dress, nothing was to be found! After having spent so much time on the last two dresses, I really didn't want to dye anymore fabric (I just need a few quick projects to get my mojo back). So, silk was out of the question. I did want something a bit more formal than cotton though so, I perused the internet a bit and found a polyester taffeta (I know!) from Fabric.com that I'm hoping will suit the dress perfectly. The color is very pretty and the site describes it as "swishy" and suitable for fuller skirts, which sounds great for my silly little 60s dress! Has anyone worked with this before? I have my fingers crossed that it doesn't scream synthetic went it arrives. Thank goodness for their return policy if it does! So, what do you think? I can't wait to start working on this one! Are you participating? Looking forward to seeing it. Am sure it will look fab. Thanks, Tina! I hope so! This will be an exciting dress for sure! I haven't had any experience in working with taffeta - so I've got no words of wisdom for you on that. The best route would be to examine it once it arrives and decide if it is worthy of your project. Thanks! I *am* rather bubbly about it :-) Luckily, I should have time to seek something else out if it isn't what I'm hoping for but, cross your fingers for me! Eek! This is such a great dress! Looking forward to seeing it! I don't think I have the time to do the challenge, but I'll be living vicariously through you guys! Oh, I do love Mad Men and their fashionable women. What a fun challenge this will be for you. I'm not participating (too many other projects on the table right now), but I will be watching for your debut! Thanks, Pam! I can certainly understand too many projects. I can't wait to see what you're working on instead! You did a lovely job on this dress! When I saw this my jaw just dropped. Guess what? I have this vintage dress in a green and teal brocade owned by my mother. Mom sewed almost all of my cloths way back when... The only problem is that I can't wear it. She had a beautiful figure with a small waistline. I would love to alter it so that I could wear it; but the zipper won't even zip in the back. Any suggestion? You must have a small waist as well. The dress is lined in some type of polyester I think. Thank you!! Your mother's dress sounds just lovely! Unfortunately, I do not have much experience with altering clothing. I would suggest determining exactly where it is too small. Try the dress on and see if the side seams fall along your sides the way they should. If so, you'll need need to let the dress out at the center back seam. Otherwise, you'll need to let it out at the sides. Especially since the dress is handmade, there may be enough fabric in the seam allowances to let it out. 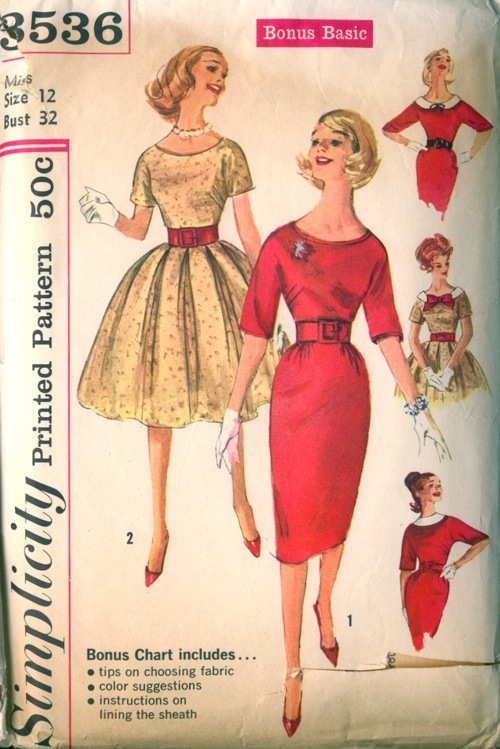 Most vintage patterns I've seen had a 5/8" seam allowance. You can change those to 1/4" without any great risk to the dress (and you'd be surprised how much extra room that gives). Carefully unpick the seam and re-sew using the smaller seam allowance. I hope this helps. If you have any questions, please email me at msjennyhomemaker at gmail dot com and I'll offer any assistance I can.